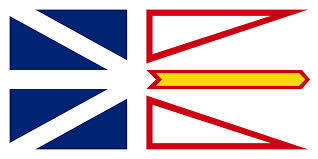 The need of car shipping in Newfoundland has grown over the years, moving vehicles into, within and/or from the province in Canada. If this is your case SHIP MY RIDE is the certified car carrier company in Canada you have been looking for. We are a professional car shipping company not freight brokers that can help you whenever you need auto transport in Canada. If your vehicle is ready to get moving you can fill in the Car Shipping BOOKING Order Form to start booking process for your vehicle's transport. This is where the sun rises first. Here is where Vikings landed over 1,000 years ago. This place is home to the oldest settlement and the oldest city in North America, but is the youngest province of Canada. A vast land, with a relatively small population, Newfoundland and Labrador has some of the friendliest people you'll ever meet. Here, you can immerse yourself in wilderness solitude one day and embrace a vibrant culture at the cutting edge of the contemporary western world the next. This is a land of rich history and natural wonders: stunning coastlines, breaching whales, icebergs, and some of the most incredible sky scrapers you'll ever see. With a temperate climate, Newfoundland and Labrador is a perfect place to enjoy outdoor adventures like hiking and kayaking in the late spring, summer and fall, as well as sports like snowboarding, skiing and snowmobiling in the winter. From vibrant cities to quaint, historical out sports, mountain ranges, rivers, waterfalls and winding coastlines, there are always fascinating places to see and countless things to do. 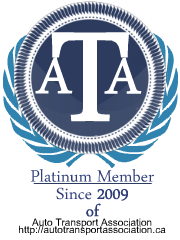 Receiving a auto transport quote is easier than ever! Moving your vehicle to Newfoundland? Moving your vehicle from Newfoundland? Either way you can receive a free auto transport instant quote from SHIP MY RIDE. By filling in the auto move quote request form you will get all the shipping quote information you need to your email or by phone! Contact SHIP MY RIDE now!